New Zealand's unique geography and cultural heritage offers plenty of opportunities for the adventurous soul to explore. Here are a few of my favorites. Mount Ngauruhoe (aka Mount Doom) in Tongariro National Park. If you love being outdoors, hiking through volcanos, and spending your day soaking up all of nature's beauty, this is the hike for you! This amazing seven-hour hike is one of New Zealand's most popular day walks. I loved it so much that I did it twice since I've been here. 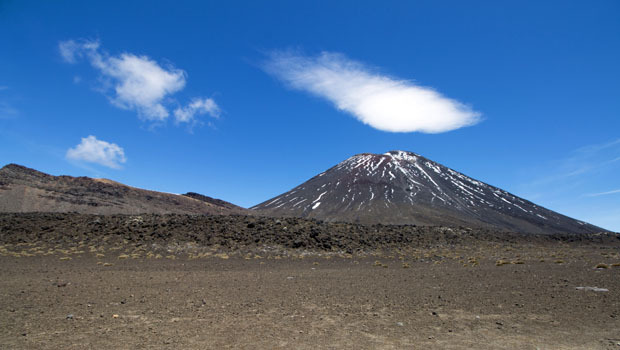 For Lord of the Rings fans like myself, Mount Ngauruhoe is the filming location of Mount Doom in Mordor. Throughout the hike, you see beautiful views of volcanic history that carved the land into what it is today, including lakes, streams, waterfalls, steam vents, hot pools, craters, and Lake Taupo in the distance. As you hike up to the top, the weather can change unexpectedly, so you definitely have to be prepared for anything. December through April are the months that would give you optimal weather conditions for this beautiful journey. View of the Milford Sound fjord before climbing aboard the cruise ship. 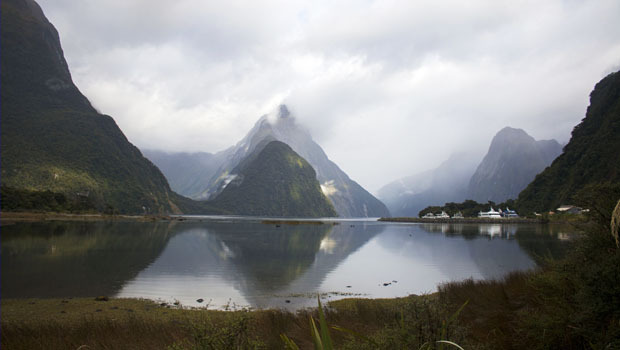 You cannot visit New Zealand without seeing Milford Sound! Located in Fiordland National Park in Te Anua in the South Island, views are breathtakingly beautiful and out of this world. Take a 90-minute cruise and immerse yourelf in the beauty of this amazing setting. Visitors will not be disappointed by the unchanged scenery before them. Even on the rainiest of days, the fjord is stunning! In fact, rain is the weather that you would want for this trip in order to see the hundreds of waterfalls that don't appear every day. If you're lucky, you'll even see dolphins following the ship, or you can kayak through the fjord for an even closer encounter. The drive to Milford Sound is just as beautiful as the fjord itself, with many stops along the way to take you to other parts of the national park. Gandalf rides a giant eagle in the Wellington Airport. New Zealand's capital city, the middle of Middle Earth. 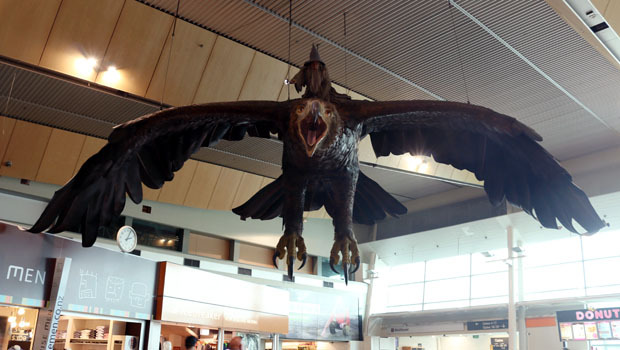 As soon as you arrive in Wellington by plane, you are welcomed to Middle Earth by Gollum catching fish, Gandalf riding one of the giant eagles, and Smaug the Magnificent in the Wellington Airport. From what I have seen on my adventures through New Zealand, Wellington is definitely the most artsy city. From the Weta Workshop to cafes, art galleries, and museums, you will see something spectacular in every corner. Te Papa, the national museum and art gallery of New Zealand, has amazing exhibits, including the current Gallipoli exhibit which takes you through World War I through the eyes of eight New Zealanders. Take a ride on the cable car to see panoramic views of the city as well as the Carter Observatory and botanical gardens at the top. Every weekend there are markets throughout the Central Business District with arts and crafts, produce, entertainment, and food trucks. 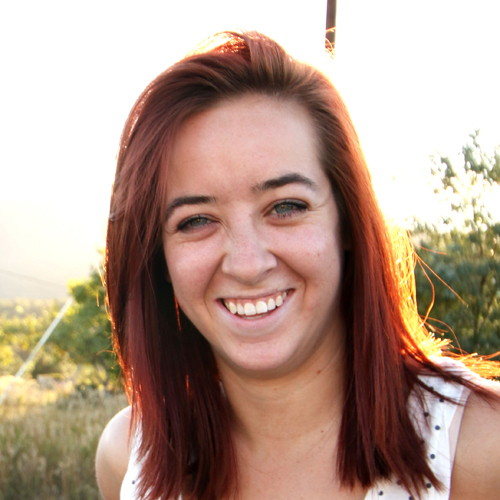 With everything in walking distance, Wellington is a great place for backpackers to explore. Samwise Gamgee's hobbit hole at Hobbiton. Such an amazing experience for Lord of the Rings fans everywhere. 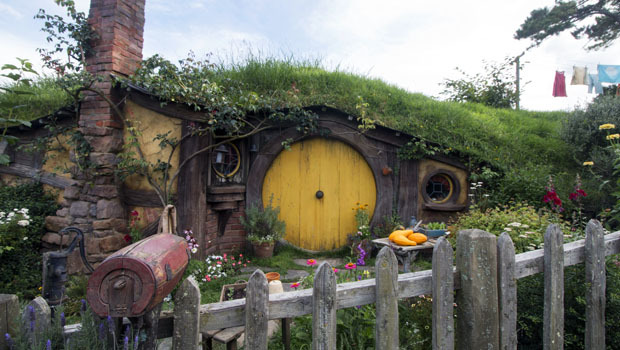 On this 90-minute tour through The Shire, you truly are living the life of the hobbits. You will see all the Hobbit Holes from the films and feel like you are in the movies, which is amazing for anyone who loves Tolkien. Peter Jackson put so much work into every single detail in the films and your tour guide will blow your mind with every piece of information he or she feeds you. With such a friendly environment, this is a perfect destination for families on holiday as well as the solo traveler looking for a major tourist attraction in the country. 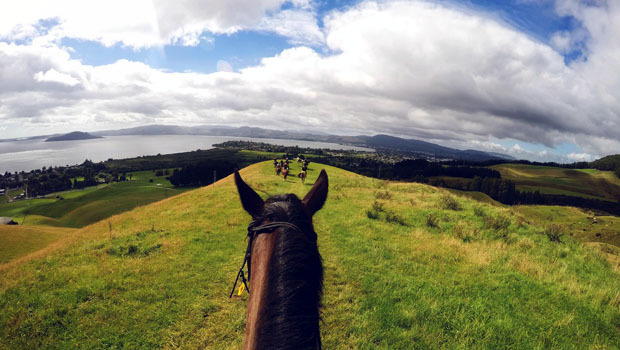 View of Lake Rotorua while horseback riding at Adventure Playground. This thermal city has so much to offer. From beautiful lakes to Maori cultural experiences, there is something for everyone to enjoy in Rotorua. The Redwoods - Whakarewarewa Forest - is a must-do. Enjoy a peaceful stroll surrounded by the giant redwood trees, ferns, and other beautiful New Zealand foliage. There are many different tours in town, from ziplining through the canopy to riding a duck boat through the lakes to horse back riding, you are sure to be amazed. Te Puia is the Maori village located in the Whakarewarewa Valley and offers an unforgetable cultural experience, geysers, thermal mud pools, and even two kiwi birds on site. Just a 30-minute drive from the city, you'll also stumble upon a natural hot pool, Kerosene Creek. There is so much to see and do in Rotorua that a short weekend does not suffice; I have been there six times and still haven't seen everything.